Both are programming processes whereas OOP stands for “Object Oriented Programming” and POP stands for “Procedure Oriented Programming”. Both are programming languages that use high-level programming to solve a problem but using different approaches. These approaches in technical terms are known as programming paradigms. A programmer can take different approaches to write a program because there’s no direct approach to solve a particular problem. This is where programming languages come to the picture. A program makes it easy to resolve the problem using just the right approach or you can say ‘paradigm’. 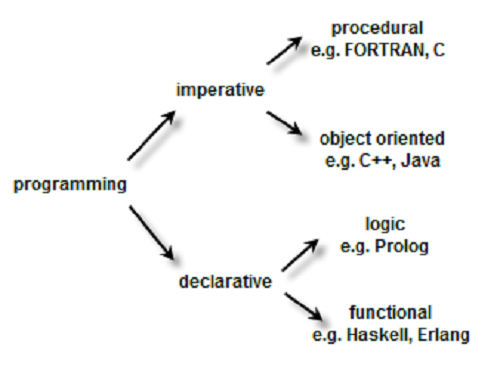 Object-oriented programming and procedure-oriented programming are two such paradigms. OOP is a high-level programming language where a program is divided into small chunks called objects using the object-oriented model, hence the name. This paradigm is based on objects and classes. Object – An object is basically a self-contained entity that accumulates both data and procedures to manipulate the data. Objects are merely instances of classes. Class – A class, in simple terms, is a blueprint of an object which defines all the common properties of one or more objects that are associated with it. A class can be used to define multiple objects within a program. The OOP paradigm mainly eyes on the data rather than the algorithm to create modules by dividing a program into data and functions that are bundled within the objects. The modules cannot be modified when a new object is added restricting any non-member function access to the data. Methods are the only way to assess the data. Objects can communicate with each other through same member functions. This process is known as message passing. This anonymity among the objects is what makes the program secure. A programmer can create a new object from the already existing objects by taking most of its features thus making the program easy to implement and modify. What is Procedure Oriented Programming (POP)? POP follows a step-by-step approach to break down a task into a collection of variables and routines (or subroutines) through a sequence of instructions. Each step is carried out in order in a systematic manner so that a computer can understand what to do. The program is divided into small parts called functions and then it follows a series of computational steps to be carried out in order. It follows a top-down approach to actually solve a problem, hence the name. Procedures correspond to functions and each function has its own purpose. Dividing the program into functions is the key to procedural programming. So a number of different functions are written in order to accomplish the tasks. Initially, all the computer programs are procedural or let’s say, in the initial stage. So you need to feed the computer with a set of instructions on how to move from one code to another thereby accomplishing the task. As most of the functions share global data, they move independently around the system from function to function, thus making the program vulnerable. These basic flaws gave rise to the concept of object-oriented programming which is more secure. OOP stands for Object-oriented programming and is a programming approach that focuses on data rather than the algorithm, whereas POP, short for Procedure-oriented programming, focuses on procedural abstractions. In OOP, the program is divided into small chunks called objects which are instances of classes, whereas in POP, the main program is divided into small parts based on the functions. Three accessing modes are used in OOP to access attributes or functions – ‘Private’, ‘Public’, and ‘Protected’. In POP, on the other hand, no such accessing mode is required to access attributes or functions of a particular program. The main focus is on the data associated with the program in case of OOP while POP relies on functions or algorithms of the program. In OOP, various functions can work simultaneously while POP follows a systematic step-by-step approach to execute methods and functions. In OOP, the data and functions of an object act like a single entity so accessibility is limited to the member functions of the same class. In POP, on the other hand, data can move freely because each function contains different data. OOP is more secure than POP, thanks to the data hiding feature which limits the access of data to the member function of the same class, while there is no such way of data hiding in POP, thus making it less secure. New data objects can be created easily from existing objects making object-oriented programs easy to modify, while there’s no simple process to add data in POP, at least not without revising the whole program. OOP follows a bottom-up approach for designing a program, while POP takes a top-down approach to design a program. Commonly used OOP languages are C++, Java, VB.NET, etc. Pascal and Fortran are used by POP. OOP takes a bottom-up approach in designing a program. POP follows a top-down approach. Program is divided into objects depending on the problem. Program is divided into small chunks based on the functions. Each object controls its own data. Each function contains different data. Focuses on security of the data irrespective of the algorithm. Follows a systematic approach to solve the problem. The main priority is data rather than functions in a program. Functions are more important than data in a program. 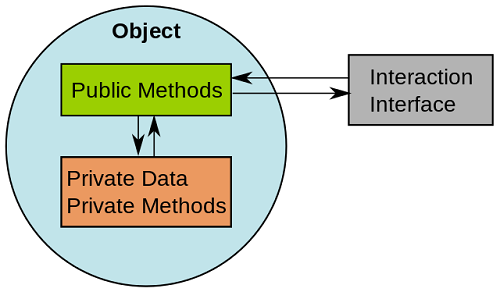 The functions of the objects are linked via message passing. Different parts of a program are interconnected via parameter passing. Data hiding is possible in OOP. No easy way for data hiding. Inheritance is allowed in OOP. No such concept of inheritance in POP. Operator overloading is allowed. Operator overloading is not allowed. A program is nothing but a set of step-by-step instructions that only a computer can understand so that it can come up with a solution. There are different approaches to do that, which in technical term, are referred to as programming paradigms. OOP and POP are such high-level programming paradigms that use different approaches to create a program to solve a particular problem in the less time possible. The idea is to solve complicated tasks using programming with less code. While an object-oriented program depends mainly upon data rather than the algorithm, a procedure-oriented program follows a step-by-step approach to solve a problem. OOP, of course, has a little edge over POP on many fronts such as data security, ease of use, accessibility, operator overloading, and more. Sagar Khillar. "Difference Between OOP and POP." DifferenceBetween.net. June 5, 2018 < http://www.differencebetween.net/technology/difference-between-oop-and-pop/ >. Thank you for the information…it’s really helpful.. Very beautifully written…It was very helpful. Thanks for you Ida as educated man!